Every day and everywhere, everyone can live a powerful life of Kingdom impact ... Jesus-style! One ordinary life making a powerful difference—that's God's amazing "Plan A" on display. Using real-life, riveting stories and a contemporary scriptural lens, Dwight Robertson shows how God's exciting kingdom-building plan takes life—literally—in ordinary individuals. Robertson explains how God calls and equips average, everyday people—even those who don't think they have anything special to contribute—to creative ministries that are as distinct and unique as the individual. God's Plan A encourages average Christians everywhere to follow the model of Jesus: ministering up close, one life at a time, outside church walls in our everyday lives. 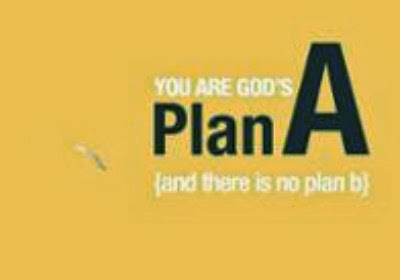 God's Plan A involves all of us ... and there is no Plan B.